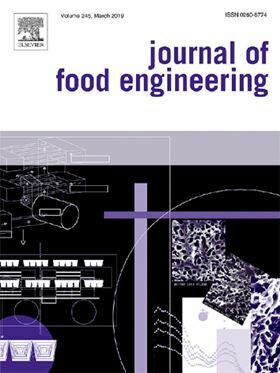 The research article 'New prospects for immersed hollow-fiber membranes in fruit juices microfiltration: Case of grapefruit juice' has been published in Elsevier's Journal of Food Engineering (Volume 246, April 2019, Pages 75-85). Side-stream tubular membranes are largely used to perform cross-flow microfiltration of fruit juices. However, this configuration presents well-known drawbacks (e.g. energy consumption). Immersed membranes configurations have been developed in many fields to overcome these disadvantages. This paper investigates for the first time the possibility of using immersed configuration for fruit juices microfiltration. Firstly, a lab-scale methodology was adopted to characterize the fouling propensity of the juice, while studying the impact of transmembrane pressure, membrane material and the role of large particles on the juice fouling behavior. Secondly, pilot-scale experiments were performed to identify the optimal operating conditions for both configurations. Both lab-scale and pilot-scale experiments suggested that the operating conditions of immersed configuration (no removal of large particles, low pressure and organic membranes) could be suitable to perform juice microfiltration. The optimal permeate flux of immersed configuration was in accordance with the ones reported in other fields. A productivity similar to the one related to side-stream configuration might be obtained through an increase of the filtration surface, made possible by the great packing density and low membrane cost related to immersed configuration. These findings offer new application for immersed membrane configuration in the microfiltration of delicate fruit juices. The economic feasibility of using the forward osmosis process in textile wastewater treatment was analysed.